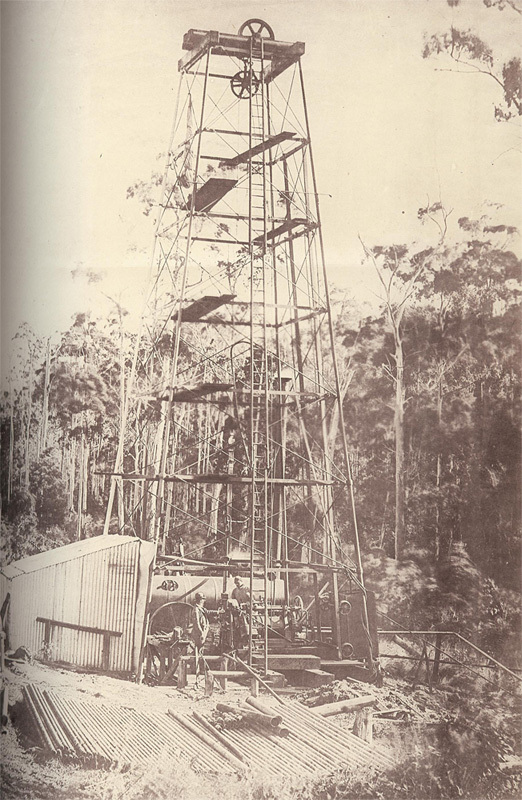 Records of drilling by the Victorian Government date back to 1884, with the Diamond Drills and Water Augers reports. 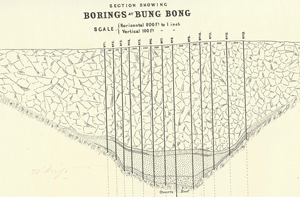 These were followed by the Diamond Drills and Other Boring Machinery reports, Annual Reports of the Secretary for Mines, Annual Reports of the Secretary for Mines and Water, Special Reports - Records of Boring Operations, Summary of Annual Reports of the Geological Survey Branch and Records of Boring Operations, Records of Boring Operations, Annual Reports Including Gold and Mineral Statistics and Boring Records, and the Boring Records which ceased after 1965. 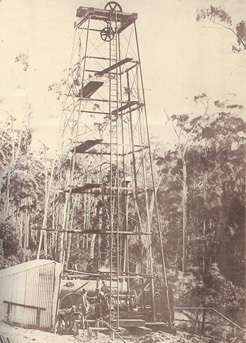 The first comprehensive groundwater bore database was assembled by the Geological Survey of Victoria (GSV) in the late 1960s, with the introduction of the Groundwater Act 1969. 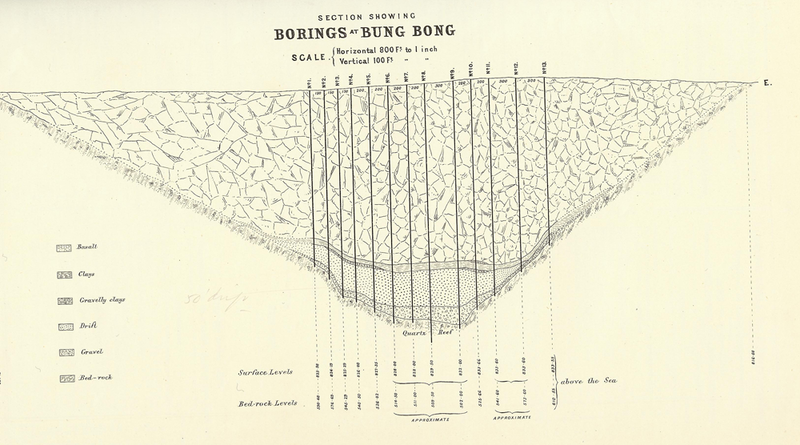 Up until the mid 1980s the bore locations were plotted on mapsheets and the individual bore records kept in hardcopy. From the mid 1980s onwards a digital database, compiled from the existing records of all Government bores and private bores, was progressively assembled on mainframe computers. From 1969, a permit to drill groundwater bores was required, and the information captured by the licensing process was added to the database. This included groundwater investigation or observation bores drilled by other government agencies such as the State Rivers and Water Supply Commission (SRWSC) and the Soil Conservation Authority (SCA) and subsequent equivalents, although these agencies also kept their own bore databases. Following the split of the groundwater group from the GSV in mid 1988, the State bore database was duplicated. One copy was merged with several Rural Water Corporation (RWC) databases to become the Victorian Groundwater Data Base (VGDB). Subsequently this database became the Groundwater Management System (GMS) until 2013 when the system migrated to the Water Measurement Information System (WMIS) run by the Department of Environment, Land, Water and Planning (DELWP). The other copy remained with the GSV and was developed into the Geological Exploration and Development Information System (GEDIS), which included the mineral exploration bores. Data exchange was attempted for a few years following the split, but ultimately the databases grew into quite separate entities. Both bore databases converted to using a unique bore identifier rather than the historical Parish system (refer to this page for bore numbering details). The SCA began to investigate salinity in the late 1970s and developed separate bore databases for monitoring groundwater levels in bores that were drilled for salinity investigations. Since the release of the first Victorian Salinity Strategy in 1988, the salinity bore database emerged as the Centre for Land Protection Research (CLPR) database, first compiled in 1994 (Mark Reid, pers comm.). This database was held by the Department of Environment and Primary Industries (now Department of Environment, Land, Water and Planning - DEWPL) and managed by the Future Farming Systems Research at Bendigo which is now part of Agriculture Victoria Research. In 2003 the Corangamite Groundwater Monitoring and Research Database (CGMRD) was established by the former University of Ballarat (now Federation University Australia) for the Corangamite Catchment Management Authority (CMA) (Dahlhaus et al. 2003). The CGMRD combined 9260 bores from three State government databases and was the forerunner to the FedUni Spatial database, which also included bores in the Glenelg Hopkins CMA area. The University recommenced monitoring around 250 of the original salinity bores in the Corangamite region and has since constructed around 50 new groundwater research bores, which are included in FedUni Spatial along with a number of existing groundwater and geotechnical bores not previously recorded in any other database (known as orphan bores). Several other bore databases have been developed by public utility agencies (e.g. the State Electricity Commission, State Rivers & Water Supply Commission, Country Roads Board, Victorian Railways, Ports and Harbours, etc.) that have now been privatised. Although most of the historic groundwater data has probably been captured on the WMIS, a vast amount of geotechnical and lithological information has been archived.